New data has recorded rises in vacancy rates in all capital cities except Hobart. SQM Research revealed the number of residential vacancies rose in April 2015, with a vacancy rate of 2.3 per cent posted based on 69,295 vacancies. This was up from 2.1 per cent in March when vacancies were 63,906. Hobart was the only capital city to not record a drop in vacancy rates, remaining unchanged from March at 1.4 per cent. The biggest rise was recorded in Canberra, with vacancy rates increasing from 1.5 per cent to 1.9 per cent. Adelaide’s vacancy rate rose from 1.4 per cent in March to 1.7 per cent in April. Sydney recorded a vacancy rate of 1.8 per cent, which was up from 1.6 per cent the month before. Brisbane posted a 0.2 percentage point rise in vacancy rate from 2.1 per cent to 2.3 per cent. Perth’s vacancy rate increased to 3.0 per cent from 2.7 per cent in March. Melbourne recorded a minor increase in vacancy rate, up to 2.2 per cent from 2.1 per cent. Hobart’s vacancy rate rose to 3.5 per cent in April, up from 3.4 per cent in March. 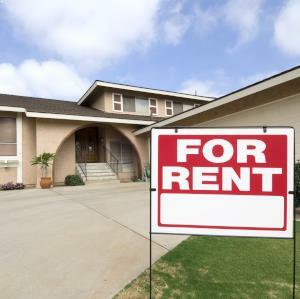 SQM Research managing director Louis Christopher said the rental market remains in its slow down phase and it is going to “remain soft for some time to come”. “Some regions may beat this outlook, such as southeast Queensland, parts of Melbourne and Hobart where tenancy demand is accelerating,” he said.